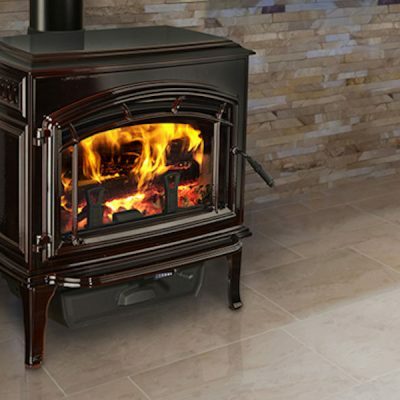 The Pacific Energy T4 has all the features of a true Alderlea high efficiency wood stove: a huge glass window for a clean view of the flame, a cooktop, efficient heat output and unmatched ease of use. 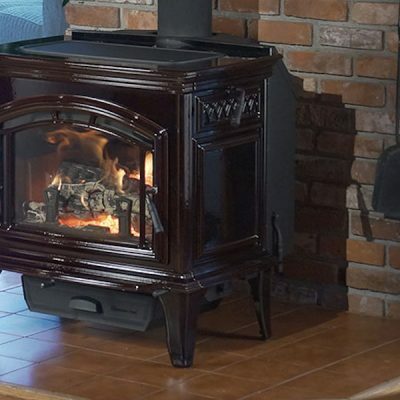 It’s a powerful, reliable source of wood heat with old world charm and superior durability. 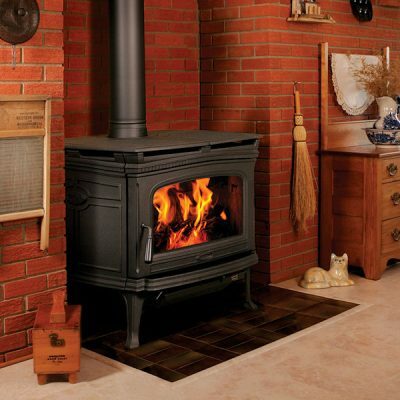 See the Alderlea T5 Wood Stove in our Ottawa Fireplace Showroom. 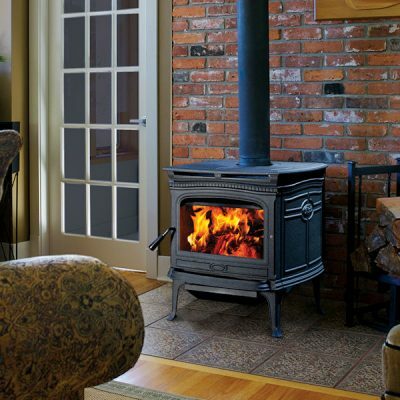 Until Pacific Energy pioneered the Alderlea line, with its revolutionary iron-wrapped steel firebox, a cast-iron stove was just that: cast iron. 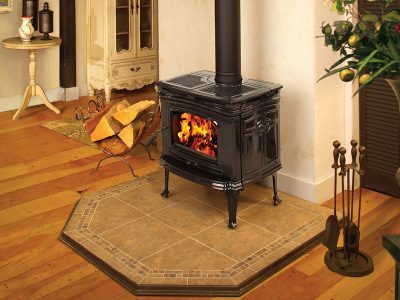 The Alderlea wood stove design makes the most of each metal, with the steel stove and floating firebox free to expand and contract. The design maximizes convective heat efficiency, while the cast iron wrapping provides plenty of radiant heat. 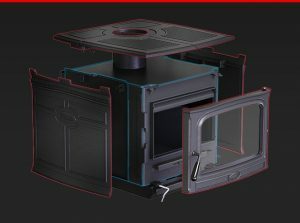 This superior system greatly extends longevity over an all cast stove. Metal fatigue is no longer a factor, allowing Pacific Energy to offer the industry’s first lifetime warranty on a cast stove. 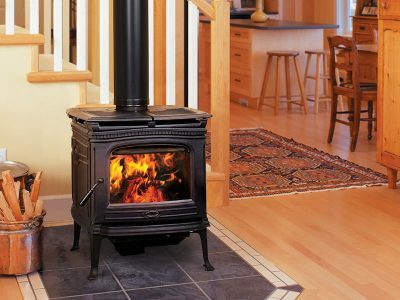 This technical innovation lives “under the skin” of the Alderlea line, which maintains the beloved traditional wood stove appearance. We say it’s “powered by design, and crafted by tradition”.